The number of remote teams continues to grow as more and more companies move daily tasks to the cloud. There are many perks to leading a home-based workforce. But, it often comes with attendance management challenges. Since your team doesn’t physically meet every day, tracking employee attendance can be a difficult task. You need to use tools and strategies to make sure home-based workers stay productive. At Patriot Software, we offer remote work options to our employees. As an online small business Software as a Service solution, it makes sense that much of our workflow is also housed in the cloud. This allows many of our employees to work from home. Although we allow our staff to choose to work remotely, there is a process. We have implemented communication and attendance tools and procedures that help keep home-based workers productive and in the loop with in-office happenings. To effectively manage your remote team, you need a process for attendance conduct. Your strategy should include a way to track employee hours worked. And, it should use methods to increase employee engagement so that employees want to work. An effective remote team attendance management strategy can improve your operations and offer more benefits to employees. First, take a look at how a home-based staff can help your business succeed. As the use of technology rises, companies are taking notice. 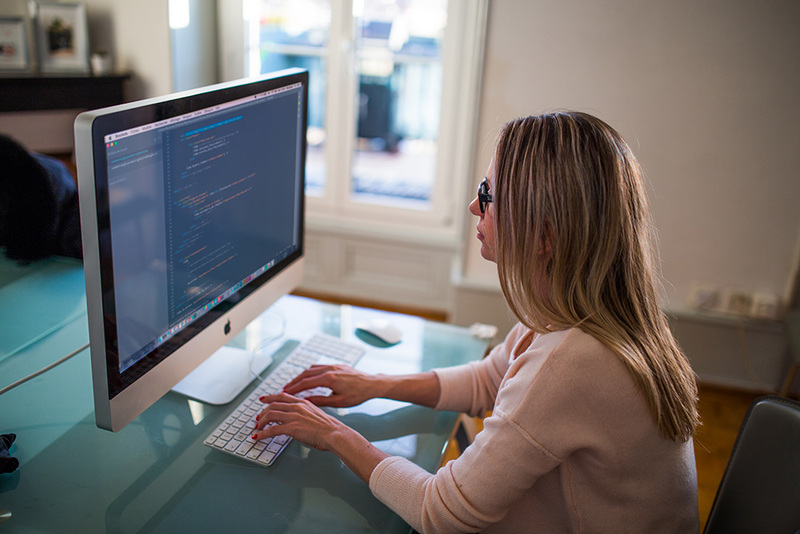 Many business owners utilize cloud-based applications to manage remote teams. This translates to more workers earning their incomes from home. A new report from Global Workplace Analytics and FlexJobs revealed that 3.9 million workers worked from home at least half the time in 2015. That translates to almost 3% of the total U.S. workforce. The number of remote employees does not increase every day without reason. Home-based workforces offer benefits to both businesses and employees. By working from home, employees can enjoy a more flexible schedule than a rigid 8 to 5 often required in an office setting. This allows a worker to have more control over how they delegate time and a better work/life balance. Not only do employers save money on office expenses, but they also indirectly save on hiring and retention costs. Employers can offer work-from-home opportunities as attractive and inexpensive benefits that help to improve employee engagement and turnover rates. This means more quality hires and happier, long-term employees. Considering 43% of employed Americans spend at least some time working remotely, we know that home-based teams are working for many of today’s businesses. But, how does a home-based worker’s productivity level stack up to a traditional employee’s? When you think of a home-based worker, you might picture someone relaxed on a couch in their pajamas with a computer on their lap. This image, though stereotypical, is inaccurate. In fact, many reports show that remote workers are actually more productive than traditional employees. One survey reports that 91% of people who work from home feel that they’re more productive than when they’re in an office. The same report says that 77% of remote workers get more done in fewer hours because of fewer distractions such as meetings, conversations, and noisy coworkers. Remote employees are met with fewer distractions than traditional workers. They are able to create an environment that makes them more comfortable and productive, without having an office full of disruptions that can cause them to stray from the task at hand. The ability to create a flexible work schedule also improves productivity. Remote employees can work around their distractions. For example, instead of worrying about having to rush to some event after work, home-based employees can alter their schedules to fit in the event without needing to hurry. Their minds are more at ease, and they can focus on work. Different people also have peak times they are productive. One employee might be the most motivated in the morning, while another works best in the afternoon. Home-based work options recognize the individual needs and preferences of your staff. As a business leader, you know that employee engagement is linked to productivity. Happy employees produce better work. Studies show that remote employees are often more engaged than traditional office workers, which contributes to higher levels of productivity. A Gallup survey reported that employees who spend three to four days per week working remotely feel most engaged at work (41%). On the other hand, the report revealed that workers who spend no time in the office (55%) or all of the time at the office (54%) were the most unengaged. A mix of remote and in-house work renders the highest engaged workers. Employees enjoy the perks of working from home and face-to-face interactions with their co-workers. So, remote work is linked to engagement, and engagement is linked to productivity. In a perfect world, this spells a high-producing, results-driven workforce that operates efficiently over the web. But, your remote staff consists of human beings. You need to monitor attendance and productivity so that you can make smart decisions about your workforce. Managing employee attendance for remote teams can be difficult, but there are several things you can do to improve productivity. As the leader of a remote team, you need to know how to track attendance and keep remote employees engaged. If done well, you will see the positive impact remote employees can have on your business. On average, workers tend to be 20% more productive when they can tackle creative projects remotely and 13% more efficient due to fewer distractions. If these numbers sound appealing to you, consider allowing employees to work from home at least some of the time. When you decide to offer remote work options to employees, you need a strategy for managing attendance. Your strategy should include an easy way to record employee hours worked. It should also include methods for keeping remote employees engaged and wanting to work for your business. Try these tips to manage productivity for remote employees. Maintaining face-to-face contact is especially critical for remote teams. The solitary nature of home-based work can leave remote employees feeling detached from the rest of the team. In order to connect remote workers to your company culture, use video conferencing frequently. Video conferencing allows home-based workers to see each other in real time without being in the same space. Even though your team isn’t meeting in a physical office, you can still see each others’ faces when speaking to one another. Video communications help remote employees feel like they’re part of the team. They add a level of contact that cannot be matched by online chat or emails. Employees can read body language and make eye contact, creating a more engaging work environment. Video also encourages attendance because employees must be present. You can get a glimpse of where the team member is working. If there are distractions in the background, the employee might not be productive. At Patriot Software, we video chat remote workers for meetings so that all team members are included in discussions. This allows employees who work from home to be a part of meetings and stay up-to-date on information. For example, the marketing team has a stand-up meeting each morning where members share their daily agendas, news, and progress. Remote employees are called on a video chat and contribute just as the workers in the office do. Everyone plays an equal part in the meeting, even though some workers aren’t physically present. One of the perks of working from home is that employees can build their own work schedules. An employee doesn’t have to take time off in order to take care of other things going on in their life. For example, if a worker has a doctor’s appointment, they can work around it. That said, employees should log the time they work, even if they do not work conventional hours. It’s important to make sure home-based workers put in the full amount of work. A time clock can help you monitor attendance for remote employees. Clocking in also helps to avoid employees overworking. It can be easy for some remote workers to lose track of time when working on a project. There are no other people around them leaving the office, so they could work beyond their expected end time. Working more hours than expected can lead to burnout and poor work/life balance, which has a negative impact on engagement. A time clock helps you pay hourly workers accurately. There is no guesswork when it comes to how many hours an employee should be paid for. This helps you avoid issues with overtime payments. Inaccurately paying an employee could cause you to have to pay back the wages, pay inaccurate employer taxes, and file incorrect tax forms. 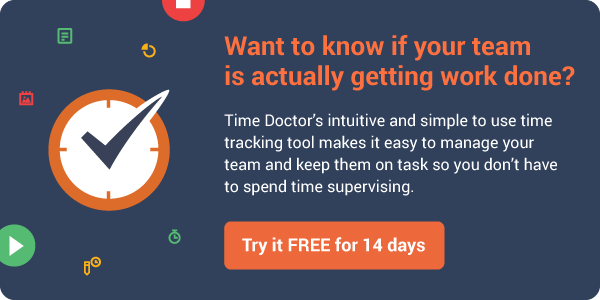 Use time management software to track employee hours. Remote team members can log into the system and record their time worked. Once a pay period is over, they check and submit the timecards. Time & attendance software saves you time with payroll. After employee timecards are submitted, the information is imported into your payroll software. With your approval, you can run payroll without having to enter hours worked yourself. The payroll history is saved in the software, so you have an accurate record of how much you paid each employee. Attendance management isn’t just about making sure employees work the right amount of time. Team members need to know when other employees are available so they can communicate throughout the day. You can create a transparent employee attendance system by sharing schedules online. With the calendar, you and your team can see when each employee is working, what they are working on, and when team events are occurring. This keeps everyone on the same page. 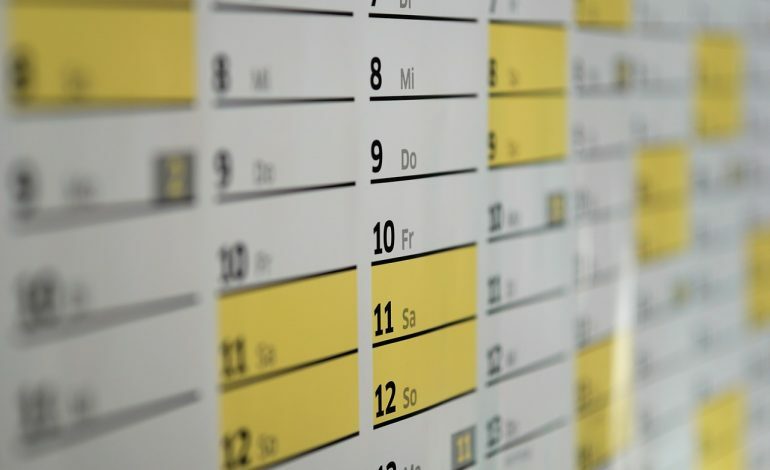 At Patriot Software, we use Google Calendar, a free scheduling tool. Each worker has their own color-coded calendar. Employees mark what they will be working on each day on the calendar. This helps the team work cohesively and keep on track with projects. And, employees mark their time off and work from home days so in-office workers know what to expect. With Google Calendar, you can also create shared calendars for different parts of your workflow, such as meetings and projects. The entire team knows what is going on with their departments. All schedules are compiled into an organized, easy-to-read system. The open communication about schedules helps manage remote and in-house employee attendance because it reduces surprises in the workflow. Often, home-based employees do not work the same hours as the office hours. The ability to work a flexible schedule can cause communication issues. Remote workers might work during off hours, so contacting managers and co-workers (and vice versa) could be an issue. As a team leader, you need to make sure your entire team gets together to talk about progress. Have remote employee hours overlap with your office hours for at least part of the day. This creates a window of time where team members can easily get ahold of one another. Make it known when these hours are in a shared area. Schedule meetings periodically with your team through video chat or over the phone. For example, you might meet daily, weekly, or monthly. You might meet about an upcoming project, progress reports, or goal discussions. Create an outline for what you want to discuss, but leave room for open discussion. There should be a time limit for the meeting so that it does not take too long to solve issues. During the meeting, let each team member talk about their work, as well as the successes and challenges they are experiencing. Conference in remote employees to include them in the meeting. Keep a shared document that notes what each employee speaks about so that your team can reference it later. The Patriot Software marketing team meets each morning to discuss day-to-day workflows. Remote employees are called in for a video chat to participate. Each month, the team also holds a goals meeting to discuss progress and set future objectives. Using the performance metrics measured during the previous month, the team adjusts processes and makes improvements. Remote employees are called into these meetings. Sometimes, home-based workers come into the office for goal meetings, as well. Remote employees need to know when you want them to work. For example, are there certain hours or days they should be working? Let employees know which days they are not expected to clock in, such as weekends and holidays. Home-based workers also need to know how much you expect them to work. Set guidelines to avoid under or overworking employees. What number of work hours is too high/low? The number of hours worked is especially important for non-exempt employees. If an employee is non-exempt, you must pay overtime if they work over 40 hours in a week. You should also note the consequences of not following the attendance policy. If a remote employee does not follow the proper attendance procedures, you might reprimand them. Establish rules for attendance and time off in your policy. Make sure you go off the same policy for every employee to avoid treating workers unequally. Provide a shared place where remote workers can find your attendance policy. Or, use an employee portal to share attendance guidelines. Remote workers can access an online attendance portal from their home at any time. Patriot Software includes policies for attendance in an employee handbook. Both remote and in-house employees can find the handbook on an online portal. The policy can be updated as needed, and employees can download and print the handbook. Working from home can be isolating. In a physical office, employees can talk about topics that are not related in passing or on breaks. Remote workers do not have this option, so getting to know team members can be difficult. Engaging employees helps to reduce absenteeism in the workplace. With a virtual water cooler, you can make work more engaging by fostering connections. Create an online space where your remote team can interact. Use an online application to create a place for employees to talk. For example, we use Slack at Patriot Software. Slack is a cloud-based tool that allows you to add employee usernames and create different channels. Some channels are dedicated to the workflow while others are strictly used for non-work topics, such as announcements, break areas, and attendance. Employees can easily keep in contact during the workday. The casual conversation outlet is great for team building and giving employees a small break between tasks. An absent manager does not encourage attendance. You need to be a present leader if you expect good employee attendance. When you show up ready to work, your employees are more likely to sign on and produce high results. It’s easy to get lost in your own work because the employees are not right there in front of you. Give employees multiple ways to contact you, such as your phone number and email address. Make an effort to communicate with each employee on a regular basis. In addition to checking on an employee’s work, ask about their well-being. When employees feel appreciated, they are more likely to show up and work hard. A simple “How are things going?” can have a big impact on employee attendance. The managers at Patriot Software take great efforts to check in on employees without micromanaging. Employees are encouraged to take a proactive and independent approach to their workloads. But, management checks in on the progress of projects regularly. Remote employees are included in these discussions as much as traditional employees. You’re up against some challenges when it comes to home-based employee attendance. While the data shows that remote workers tend to be more productive than traditional staff, engaging home-based employees can be difficult. The right staff management tools and strategies can improve productivity and engagement. Ultimately, it’s your job as an employer to create a positive work culture. As more and more teams move online, finding new ways to keep the lines of communication open between team members is more important than ever. Use video often. Video conferencing fosters connections between your organization and team members. Maintaining face-to-face contact is especially critical for remote teams. Adopt a time & attendance system. Even though employees don’t come into the office, they should still log hours worked. A time & attendance solution syncs with your payroll software, so you don’t have to enter employee hours manually every pay period. Set up a cloud-based calendar. It’s important for your team to know when other members are available. Sharing schedules online keeps your employees on the same page. Take time to regroup. One perk of working from home is the option of flexible hours. Make sure remote employee hours have some overlap with your office hours and that you meet regularly. Establish expectations. Home-based employees need to know when and how much you expect them to work. Set guidelines for attendance. Create a virtual water cooler. Working from home can be isolating. 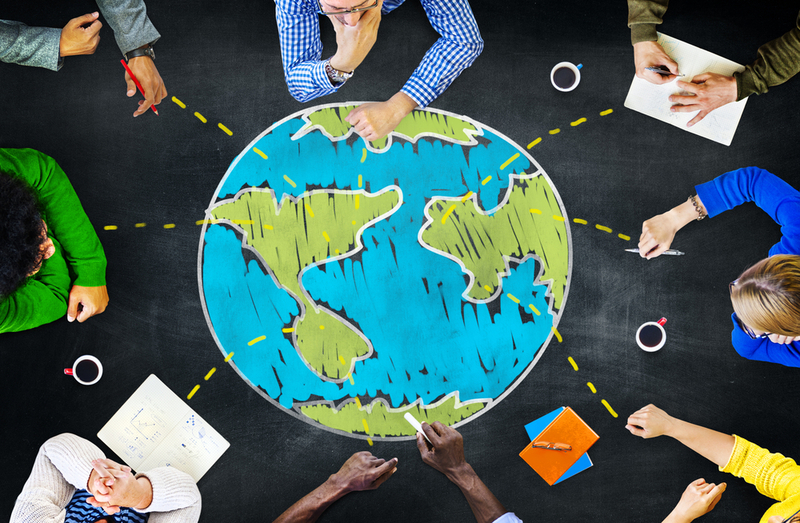 Establish an online space where your remote team can interact. Be available. If you expect good remote employee attendance, you cannot be an absent employer. Check on remote employees to see how they are doing. Communication is essential for good remote team attendance management. When it comes to productivity, a present and engaged workforce makes all the difference. Make sure you’re managing employee attendance for your remote team. 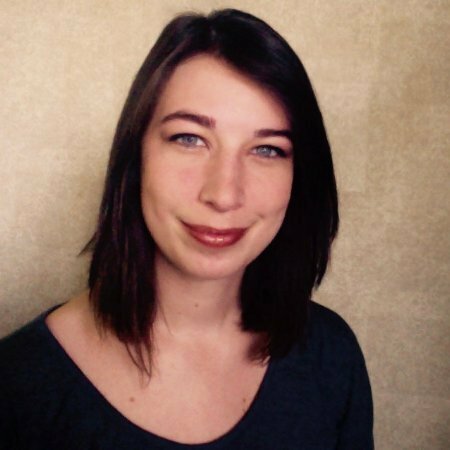 Amanda Cameron is a content writer for Patriot Software, a provider of SaaS payroll and accounting software. At Patriot, she explains difficult small business payroll, accounting, and recruiting strategy topics.